"Thinking of You and Smiling." A collection of Penny Black Clear Stamps featuring Mimi enjoying Easter, with Easter eggs, chicks, and rabbits. 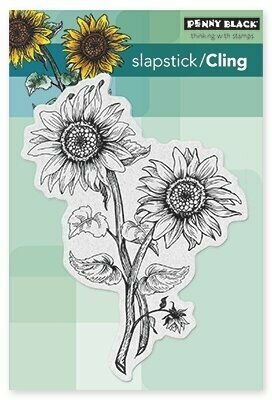 Penny Black cling rubber stamp featuring sunflowers. A wood stamp from Penny Black featuring 3 happy hedgehogs with strawberries. Valentine themed Penny Black clear stamp featuring a winged fairy and the words "Bee Mine". 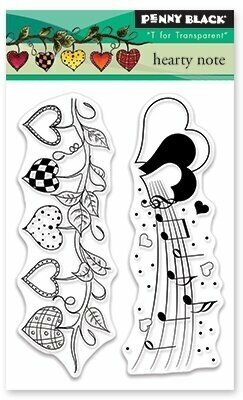 Love and music themed Penny Black clear stamps featuring hearts and musical notes. St. Patrick's Day Penny Black clear stamp with an Irish theme. Penny Black slapstick cling stamp featuring delicate flowers. Valentine themed Penny Black clear stamp featuring "you're my favorite daydream", "you are my today and all of my tomorrows", "kisses and valentine wishes", "love you until the day after forever", "I love you more than I did yesterday, but not more than I will tomorrow", "love, your biggest fan", "with you, I am me", "happy valentine's day", and "with love". 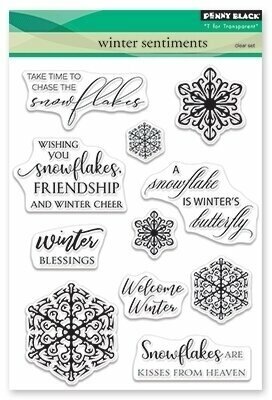 Christmas themed Penny Black clear stamp featuring snowflakes and the sentiments "Take time to chase the snowflakes", "Welcome Winter", "Snowflakes are kisses from heaven", and more. 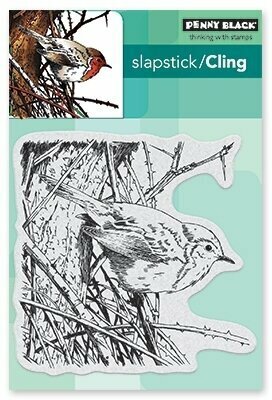 Penny Black slapstick cling stamp featuring a bird with twigs. Love and Valentine's Day themed Penny Black clear stamp featuring the sentiments "You are my happy ending", "Happy hug day", "You will forever be my always", and more. 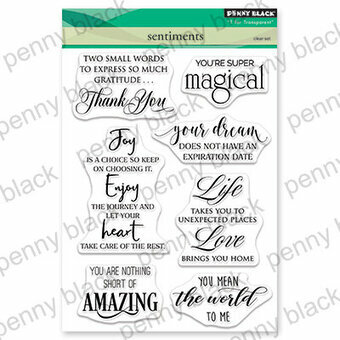 Penny Black clear stamp featuring the sentiments "You mean the world to me", "Joy is a choice, so keep on choosing it", "You are nothing short of amazing", "Life takes you to unexpected places, love brings you home", and more. 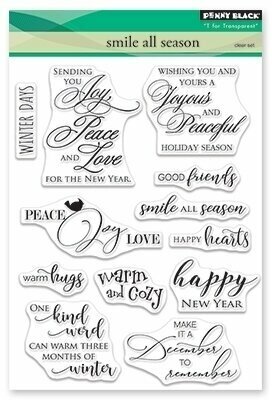 Christmas themed Penny Black clear stamp featuring the sentiments "Sending you joy peace and love for the New Year", "Warm Hugs", "Make it a December to remember", and more. 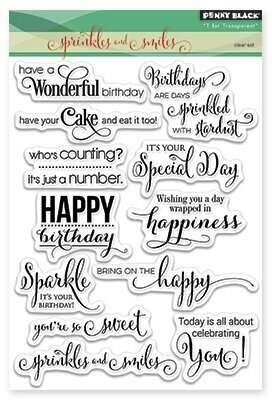 Penny Black clear stamps featuring the sentiments "Have a wonderful birthday", "Birthdays are days sprinkled with stardust", "Have your cake and eat it too", "Happy Birthday", "Today is all about celebrating you", "Wishing you a day wrapped in happiness", "It's your special day", and more. 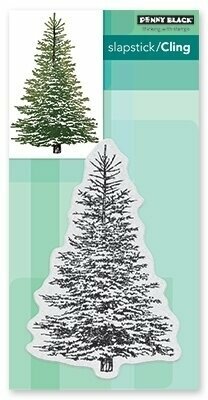 Winter themed Penny Black slapstick cling stamp featuring an evergreen tree. 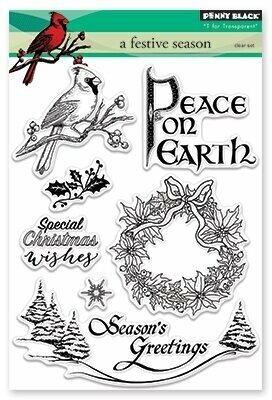 Christmas themed Penny Black clear stamps featuring a wreath, Cardinal "peace on earth", "special Christmas wishes", "season's greetings", and more! 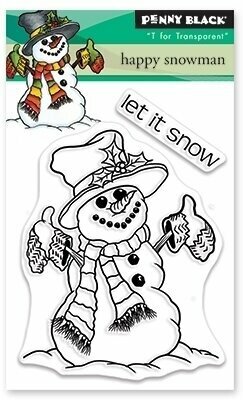 Winter themed Penny Black clear stamp featuring a snowman and "Let It Snow". 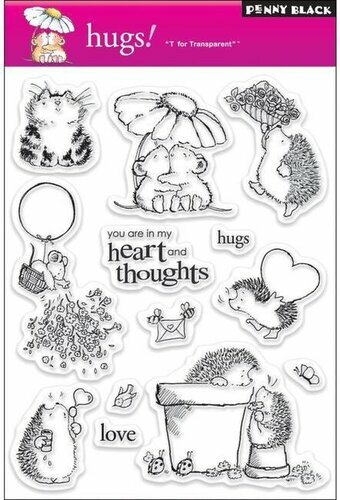 "You Are In My Heart And Thoughts"
Penny Black clear stamps featuring the sentiments "Peace Love & Yoga", "Namaste", "Happy Chakras", and "Healthy & Happy Birthday". 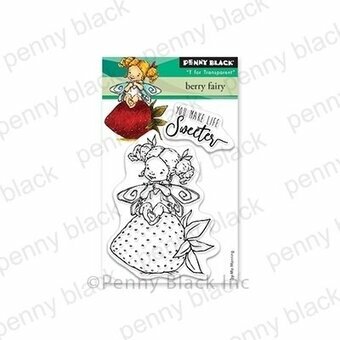 Christmas themed Penny Black clear stamps featuring Santa, reindeer, snowflakes, an ornament, and more! 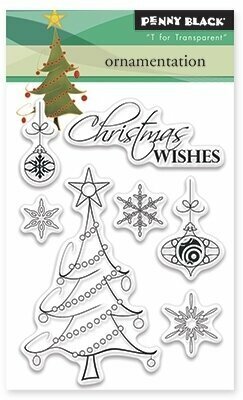 Penny Black clear stamps featuring a Christmas Tree, snowflakes, and Christmas Ornaments. Penny Black slapstick cling stamp featuring flowers. 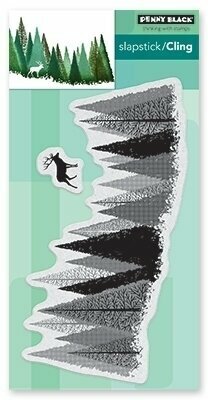 Penny Black slapstick cling stamp featuring trees and a deer. 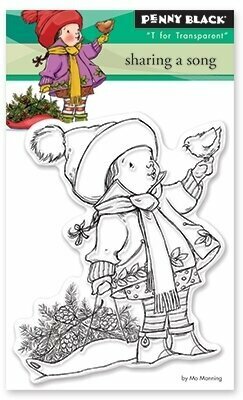 Christmas themed Penny Black clear stamp featuring a child holding a wreath and cardinal. Valentine themed Penny Black clear stamp featuring a dog, heart balloon, and the words "be mine", "love", "kisses". 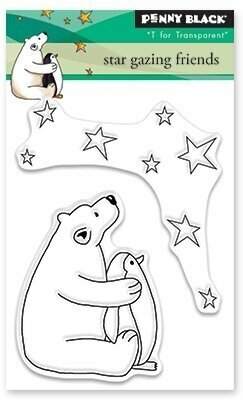 Christmas themed Penny Black clear stamps featuring a polar bear and a penguin. Penny Black clear stamp featuring a girl with finger over her lips, with the sentiments "my lips are sealed" and "shh... it's a secret"
Penny Black clear stamp featuring an adorable hedgehog peeking out of a cupcake. 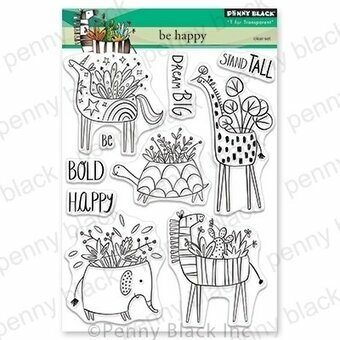 Penny Black clear stamp featuring a variety of animals with flowers, and the sentiments "stand tall", "dream big", "bold", and "happy". Penny Black clear stamp featuring a fairy with a flower, and the sentiment "enjoy your special day". 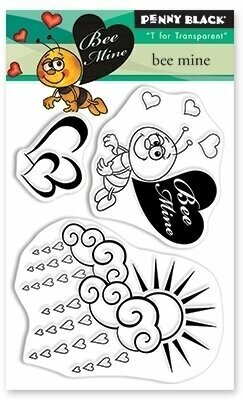 Valentine themed Penny Black clear stamp featuring a cute bee, hearts, and the words "bee mine". Penny Black clear stamp featuring a fairy sitting on a strawberry, with the sentiment "you make life sweeter". Mom and Mother's Day themed Penny Black clear stamp featuring the sentiments "from your favorite child", "happy mother's day", "to my wonderful", "mother", "mom", "mom, you're the best! 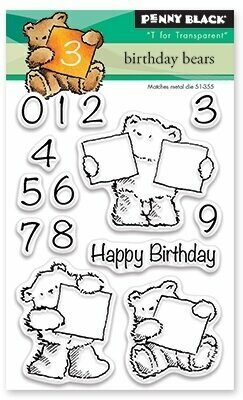 thanks for all you do", and "we love you"
Birthday themed Penny Black clear stamps featuring teddy bears. Penny Black slapstick cling stamp featuring a bouquet of tulip flowers! Penny Black clear stamp featuring a beautiful flower. 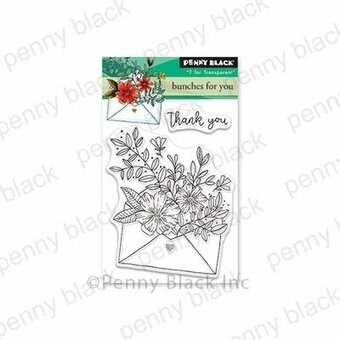 Penny Black clear stamp featuring an envelope bursting open with flowers, and the sentiment "thank you"!